Mishfitness offer corporate health and fitness programmes tailored to your organisation’s unique needs, objectives and team culture. Weekly blood pressure checks, bodyfat measurements and girths. The Health is Wealth Workplace Programme effectively encourages employees to take steps towards improving their lifestyles. Closely monitored and supported, Mishfitness clients report increased energy, weight-loss, improved general health and better overall quality of life. Team Mishfitness work with employees at their place of work to: educate on health and wellness; set realistic goals; increase activity; set fun corporate challenges; improve eating choices; and to monitor individual and team progress. Mishfitness gain positive results for all participants whether they are active or inactive at the start of the programme. Click here to read the article Well at Work. The Team Mishfitness Suburban Programme is non-threatening and appropriate for both experienced and new exercisers. It represents a unique blend of group fitness and personal training within each session. Aerobic and resistance exercise both indoors and out. Suggestions for increasing daily activity levels. Realistic and practical nutritional guidance. Regular monitoring of personal progress. Large doses of positive reinforcement, support and motivation. Like the Team Mishfitness Workplace Programmes, the most important elements of the Suburban Programme are motivation and exercise adherence. Mishfitness offer four or six week team training programmes guaranteed to achieve results. The training regimes are designed to challenge and empower you, improve your knowledge of health and fitness, and kick-start you in to immediate action! The goal-driven programmes are motivational, fun, rewarding and cost-effective. In our team training we walk, we run, we twist and we jump. We climb stairs, use resistance bands, sandbags, dynabands and do bodyweight and military exercises. Come along, join the fun and see how this cost-effective way to exercise will boost your energy levels, and help you achieve your goals and motivate you for success in all areas of your life! 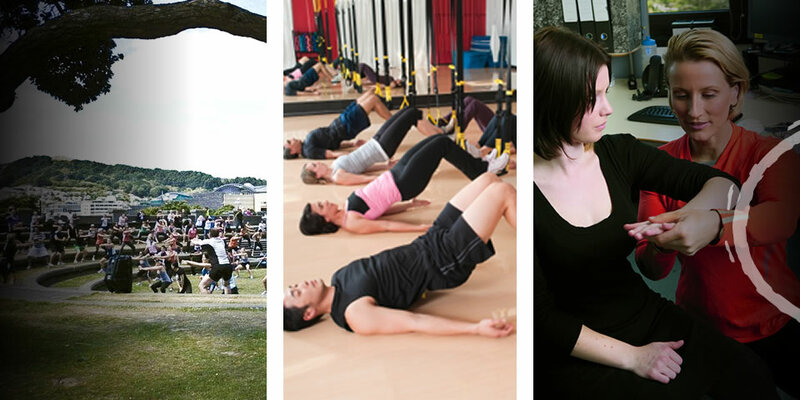 The ‘Putting the Well in Wellington’ initiative was founded by Mishfitness in 2008 with the aim of encouraging office workers to get active and incorporate regular physical activity into their lifestyles. Now in it’s sixth year, Mishfitness’ intiative provides free half hour exercise sessions on the waterfront over a six-week period. The classes are held once a week during lunchtimes to motivate busy working adults and provide a fun and safe exercise environment. Supported by Wellington City Council, Radio ZM, Life Clinic, ADIDAS and Les Mills Fitness Centre, Putting the Well in Wellington has become an iconic Wellington event. The classes are inspiring, fun and suitable for people of all fitness levels (including beginners). The summer programme also offers optional blood pressure checks by Life Clinic Limited.